There are few things we love more than creating custom apps for our clients. Thanks to our expertise and experience, we’re always being asked to flex our creative muscles, allow our imaginations to run riot, and implement the latest trends and ideas into our app designs. However, even for seasoned professionals like us, there’s a common problem which strikes even the best of us down from time to time: creative block. That’s right: it’s not just authors and artists who struggle with the nagging irritation of struggling to come up with winning ideas from time to time. App developers constantly have to be on the hunt for new, eye-popping designs, innovative approaches, and trendsetting, unique ideas and that really can be exhausting. Whether you’ve been called upon to design a new app for an up-and-coming business project, need to create a stunning platform for an event or money-making venture, or have been commissioned to dream up new games and entertainment options, creative blocks can be devastating, and tricky to overcome. After all, you want to ensure your client can’t wipe the smile off their face when browsing your app, and making those big impacts is the way to guarantee future commissions. With all that in mind, we thought we’d write a blog regarding the search for inspiration, and how to grapple with creative dry periods. Ready to have your imagination sparked into life? Read on, and see where our ideas take you! The first point we feel we should make is to stay grounded, and to not let creative dryness affect you too strongly. Everybody in the creative industries struggles with inspiration from time to time, and it’s important to not let these temporary dry spots have too much of a negative effect. At the end of the day, there are always going to be moments when you feel like a whirlwind of energy and inspiration, and other moments when you can barely do more than scribble a few meager ideas down on paper. 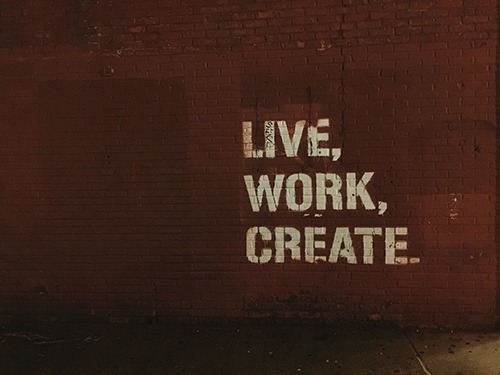 If you find yourself up against a brick wall, do what any other creative do: get out of the house or office, take a walk, enjoy a coffee in the sunshine, have a nap whatever it is you need to do to recharge your batteries and take your mind off the issue for a while. Once you return to your desk, you’ll probably find the ideas start to flow once more. Frustration is the natural enemy of inspiration – don’t let it take a hold of you! This is a question which really has more answers than we have time to write in one short article. As you probably already know, inspiration can come from the most random of sources. Magazines, TV programmes, pre-existing apps that call out for improvement, mood boards, music, etc. The list goes on and on and on. As an app developer, you’ll know the places to go to when seeking inspiration, and you probably have your own favorite ways to get the creative juices flowing. However, we’d like to point out one question that you really should be asking yourself, and which often leads to highly satisfactory results. Instead of asking yourself ‘what should I create?’, you need to be asking yourself ‘what needs to be created?’. By putting yourself in the shoes of your client and their audience, you can step out of your usual pattern of working and thinking, and approach your project from a more user-oriented approach. If you were the customer of the business you’ve been booked to create an app for, what sort of features would you most like to see? Which colors or themes would you most immediately be drawn towards? What do you dislike about the apps currently on the market in the same field? All of these kinds of thoughts will help you narrow down your thought processes, and pinpoint more accurately how to proceed. If you’re seeking inspiration for your upcoming app design, it’s probably important to step back a moment and ask yourself an important question: why is it you’re doing what you do? Are you in the app development industry as a designer and passionate artist, or are you in it as a means to make a living? Of course, for many of us, the answer lies somewhere in between… but by thinking in this way, we can help push ourselves out of a slump, and start focusing on the destination, rather than on the journey. Does it help if your app is completely unique and a representation of the pinnacle of your creative powers? Probably. Is it absolutely necessary for every app you create to be this way? Probably not. Is your client interested in getting an app which shows off your creative talents, or one which does the job very well and is perfect for their needs? The answer is surely more likely to be later rather than the former, so instead of worrying about how great the app is going to look in your portfolio, start concentrating on delivering a product which fits the brief. Creative flourishes can come later, but the important part is getting the fundamentals right first! This might sound like an oxymoron, but there’s a lot of truth in this concept. It cannot be denied that many of the most successful and seemingly ‘unique’ apps, platforms, games etc started their journey as copies and imitations of others on the market. If you browse through some of your favorite existing apps out there, we’ve little doubt that you – as a keen-minded app developer – will be able to find a list of flaws and faults, and niggling small details which you feel could have been done better. In essence, that’s your solution: take what’s already out there on the market, and fill in the gaps, adapt the features, and make the improvements you’d like to see. Once you’ve done that, reformat the layout to suit your client’s needs, change the color scheme and themes, and step by step, you’ll come up with something unique, original, and fitting the bill perfectly! There are plenty of ways of finding out what people want to see from their apps, and of discovering people’s likes and dislikes about what’s already on the market. However, the best types of ideas and recommendations come about through face-to-face contact… so gather a few of your mates and colleagues together, and sit down to have a really good chat with them. It’s amazing how creative the mind becomes when you’re bouncing ideas off other people, and you’ll soon find your well of inspiration will start filling up once more. If you’re working on a commission for a client, nothing is stopping you from arranging a meeting or a phone call with them and having a good old chat about their aspirations and ambitions for the app. It’s simple, effective, direct and best of all, it’s completely free (unless you’re buying the beers, that is). If you’re in the world of app development, it’s likely that you keep a close eye on the various trends and fashions which come and go in our industry. Every year seems to bring some new flurry of ideas and innovations, and while some of these end up sticking around and becoming standards, many fall by the wayside. If you’re looking for inspiration for your latest design, feel free to be influenced by trends, but be wary of slavishly following them. Our job is to be trendsetters, not trend-followers – and that’s something that takes courage, a willingness to take risks, and a real conviction in what we do. Don’t be afraid to break the mould, don’t be scared to go against the grain. You know what works and what doesn’t, and your job is to deliver the goods with your full belief in your product. Finally, one last thought about gaining inspiration from the industry and the world around us. When we’re talking about app design, it’s easy to get fixated on the future. What’s going to be the next big thing? How can we use the latest innovations in a way which hasn’t been seen before? Where next? However, it can also be a great idea to look to the past, and see how early designs and products managed to capture a need and perfect it into something perfectly usable. There are loads of examples out there of products, apps, etc which have barely needed updating, simply because they put functionality and user-friendliness first and foremost. If you can take something which worked perfectly in the past and bring it into the present and future without losing anything that made it special in the first place, we reckon you’d be onto a winner!